HELEN Templeton's first memory of Grafton's iconic Jacaranda Festival was singing "21 Today" with a crowd downtown to celebrate the event's 21st birthday. She was just a small child at the time and little did she know just how much she would become involved in the much-loved festival- which is now about to celebrate 84 years. "My youngest daughter Sarah Templeton was a candidate in the first Junior Jacaranda Queen quest back in 1997," Helen said. "And then my granddaughter Laura Hall won the Junior Queen title in 2015." It was after Sarah took the 2007 Jacaranda Queen title that her mother became involved with the committee of volunteers who run the event - something she has done ever since (though she swears she is handing things over soon). She has been involved in many facets from organizing the baby competition, being committee secretary, assistant treasurer, and running the souvenir and information shop during Jacaranda Week (a job she still currently holds). "It's huge and it's getting bigger and bigger - we have many international tourists coming in and we have great support from our local businesses, Clarence Valley Council and from Destination NSW," Helen admitted of the event. "Who we really rely on is our local volunteers and the enthusiasm of our local community". So what is the secret? 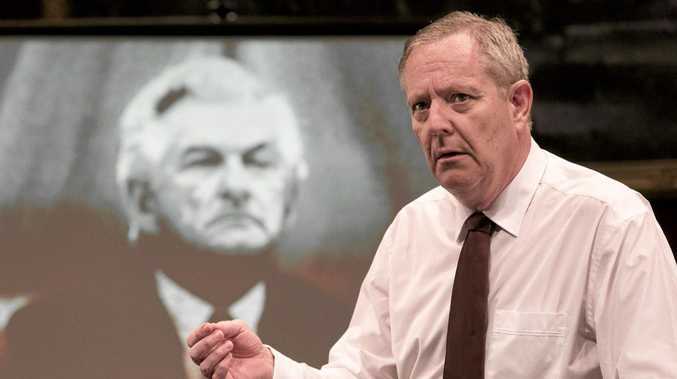 Why is the Jacaranda Festival growing when other events like it are failing? "It's the tradition and the memories that make it special." And of course that beautiful river of purple that colours the town every October/November. All the favourites are back with the Bendigo Bank Children's Morning kicking off the festival at 9am on Saturday 27 October in Market Square. There will be kids' games, activities and entertainment all morning, the presentation of the 2018 Royal Attendants, Party Prince, Party Princess, Page Boy and Flower Girl. The winners of the Beautiful Baby Competition are announced and see all the stunning banners from the March of Youth. This year's theme is Jacaranda Avenue. The first day of the festival is not complete without the 2018 Westlawn Finance Queen Crowning Ceremony where we say goodbye to 2017 Jacaranda Queen Alana and 2017 Jacaranda Princess Emilee and their royal party and welcome the 2018 Royal Party. Also the 2018 Junior Jacaranda Queen and Princess will be crowned. This year the Special Guest is no other than former Grafton Girl and Paralympian, now motivational Speaker Jessica Smith. Head down from 5:30pm to Market Square for this unique evening. Go to Eventbrite www.eventbrite.co.uk/e/2018-jacaranda-queen-crowning-reserved-seating-tickets-41985076494 to pre-purchase a seat or don't forget to bring a blanket. Jacaranda Thursday kicks off with the free breakfast hosted by 2GF/New 104.7 and The Independent from 6am in Market Square on Thursday 1 November, grab yourself some yummy breakfast before enjoying the famous Jacaranda Thursday Street Markets. There is entertainment on the Market Square stage all morning thanks to Loving Life 103.1fm and the street and stage will feature Buskers from the Loving Life 103.1fm Jacaranda Busking Competition. 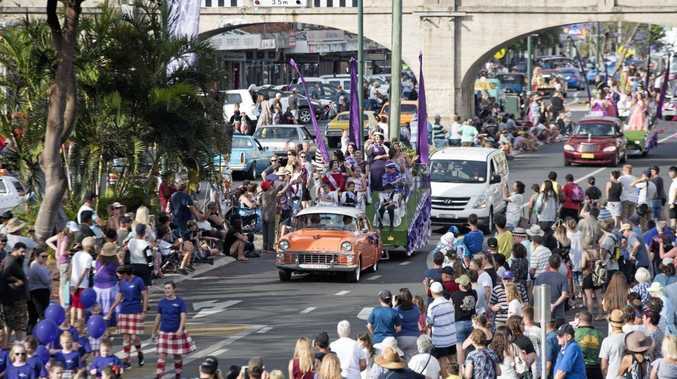 The Newcastle Permanent Float Procession, one of the most historical Jacaranda events will be held during Grafton Jacaranda Festival and this year we will see over 70 floats, decorated and on display parade down Prince Street on Saturday 3 November. The festival finishes with the 2018 Jacaranda Fun Run! 2.4km, 5km and 10km lengths through the gorgeous tree lined streets of Grafton. Other event highlights will include the Woodwork Exhibition, Festival of Flowers, Bunnings Warehouse Open Gardens, Afternoon at the Proms, Embroidery Exhibition and organ recital.